I love herbs, as most witches do. They give so much and ask so little, and under the right circumstances, can these bad boys pack a wallop! In this type of venue our readers can be beginners, or seasoned veterans so it’s a challenge to write something that will hopefully have something for everyone. There are different methods of working with herbs, but before you begin trying different uses I cannot emphasize safety enough! If you don’t already have one, invest in a good herbal reference book. There are 2 by Scott Cunningham, Magical ism, and Cunninghams Encyclopedia of Magical Herbs. 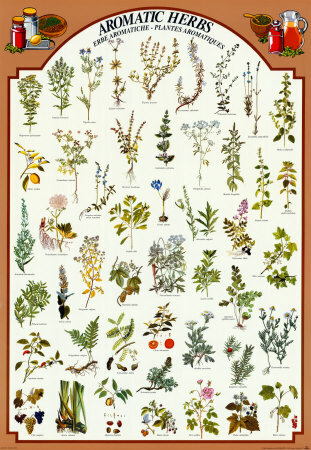 The Rodale Illustrated Encyclopedia of herbs is a good one and it is a true enclyopedia. Check around and find one that appeals to you. Infusion: An infusion, or potion is basically soaking herbs in hot water to be drunk, put into a bath, wiped on surfaces, sprinkled around, and applied to the body. If you have an old coffee maker that you won’t be making coffee in, the paper filter does a great job of straining the herbs, and heats the water quickly. * For every one cup of water, use one teaspoon of herb. NOTE: Be absolutely certain that any herbs used in this manner are safe!!! Bath: Bathing in herbs is a simple way to utilize their power. Either use a cheesecloth sachet, (half to one cup of herb) or a strained infusion to put into the bath. Ointment: An ointment is made by using lard or vegetable shortening, which smells way better than lard. I have experimented and used coconut oil, it is solid contrary to the name, and have used vaseline. Wander the cosmetic aisles and I’m sure the possibilities are endless. Apply the ointment to the body, usually to the pulse points. This brings us to herbal incense which is burned on a charcoal block. Just as the coffemaker is a tool of convenience, if you grind a lot of herbs, a coffee grinder works well. I recently received a helpful tip from my niece however, if you’ll be using it alot make sure to get one with multiple speeds, the simple on/off variety can’t take the strain. 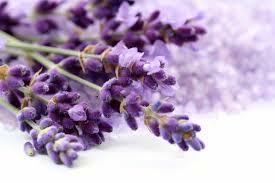 The simplest way to use herb power is to light a candle of your choice and sprinkle the herbs around the base. Be brave, use blends that appeal to you, see what kind of wild herbs you have in your area, be certain they’re safe then add them. If you’re lucky enough to live where you can get lily of the valley flowers and mint mix it with coconut oil and you’ll have a skin cream that blows the high dollar brands out of the water!! !